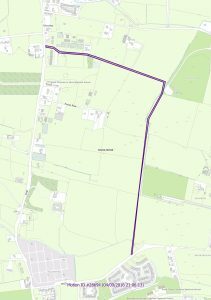 At the Area Committee today it was confirmed that the NTA has approved €50,000 for a feasibility study into the Kinsealy Greenways proposal, following the Area Committee’s meeting with them in January. These are the indicative routes to be studied. 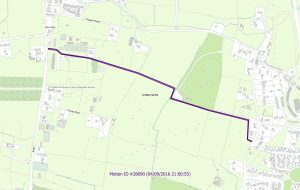 This entry was posted in Kinsealy/Cionn Sáile, Malahide/Mullach Íde, Portmarnock/Port Mearnóg, Transport / Taisteal, Walking & Cycling / Siúil & Rothaíocht on April 5, 2017 by david. A delegation from Howth / Malahide Area Committee (Cllr. Brian McDonagh, Cllr. Jimmy Guerin and myself) met the National Transport Authority (NTA) last week. We had a productive discussion on a range of issues. 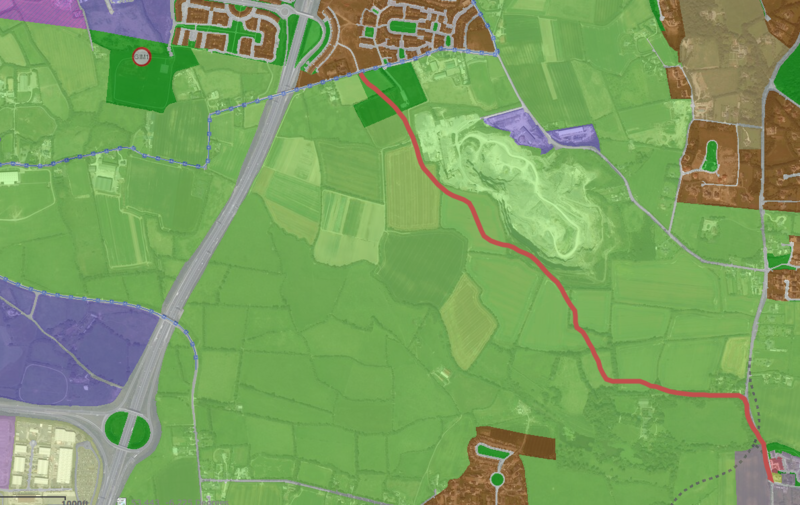 This included the proposed greenway cycle routes between Holywell, Portmarnock and Balgriffin/Belmayne through Kinsealy. 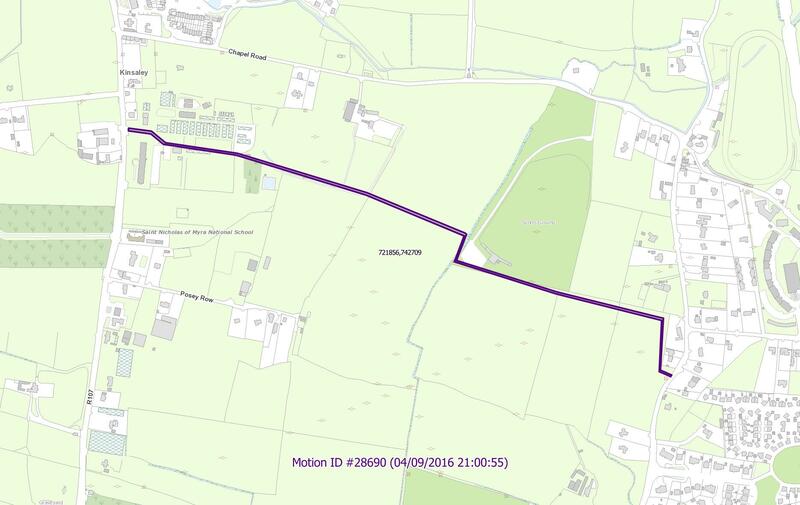 The Council agreed last October to my proposal to include these routes in the draft Development Plan. 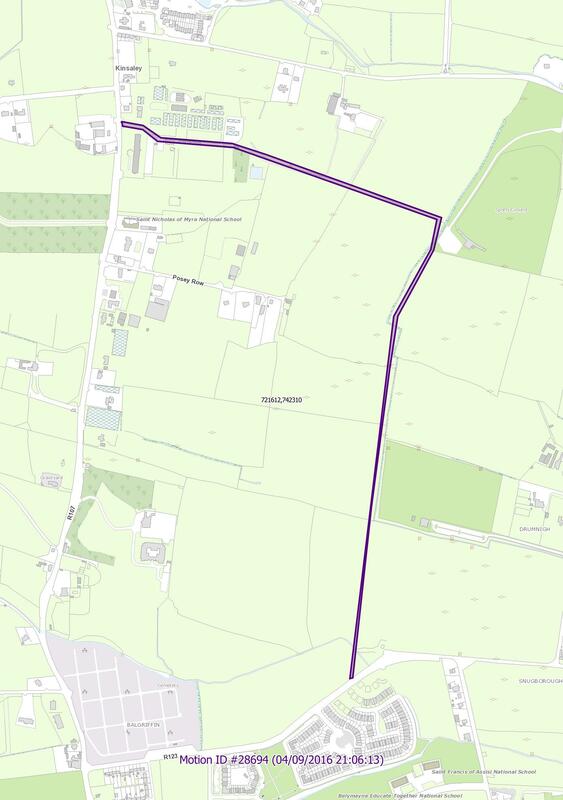 The decision was taken in the context of the possible location of a secondary school at the Teagasc building and the very poor quality of walking and cycling routes in the area at the moment. The NTA started their consideration from an emphasis that secondary schools need to be provided at walkable locations but recognised the both that that the reuse of an existing building might be a significant factor in the decision, which is ultimately one for neither Fingal County Council nor the NTA, but the Department of Education. We all also noted the potential of these routes to serve other trips between towns and suburbs in South Fingal and the Northside of Dublin City. In response to the discussion, they proposed that they would fund a feasibility study to look into the potential for routes similar to those included as indicative routes in the draft Development Plan. I am bringing a proposal for such a study to the next Area Committee meeting on 1st March, as well as recommending that the indicative routes be confirmed in the Development Plan. This entry was posted in Kinsealy/Cionn Sáile, Walking & Cycling / Siúil & Rothaíocht on February 3, 2017 by david.